I guess I have sewing on the mind this week, because all the projects I'm featuring have something to do with sewing! 1. CathGrace made this adorable Summer Dress. 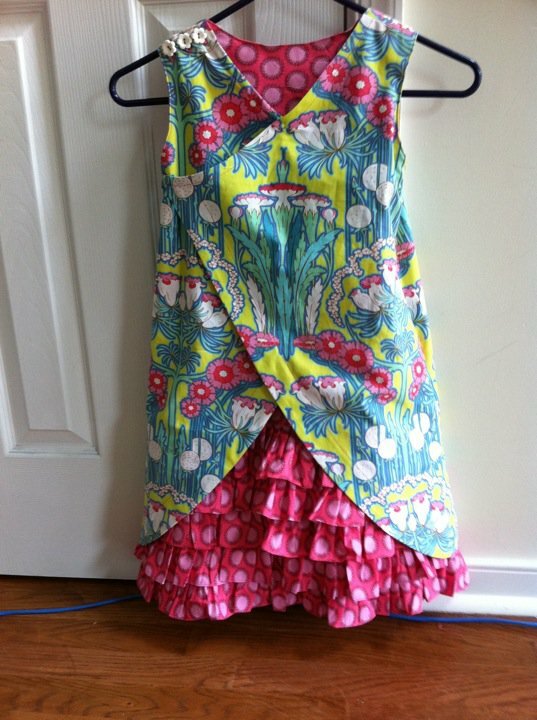 My favorite feature is the peek-a-boo ruffle in the back. She even made matching shoes! 2. 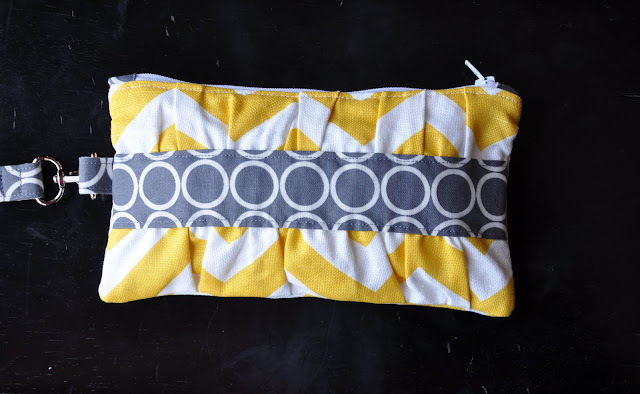 Jamie from Backless Shirt makes these super cute Gathered Clutches for her shop, based on a pattern from noodlehead. I have been really wanting one of these, and still can't decide if I should try to make one or just forget about it and order one! I love her fabric choices, but she does custom orders too! 3. This last one isn't a sewing project, but is perfect for your sewing space. 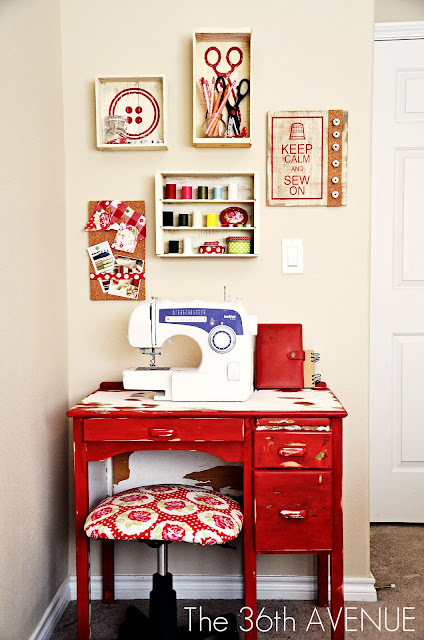 Desiree at The 36th Avenue created this seriously cute Sewing Space, including stenciled shelf boxes made from thrifted wine crates. Thanks for the inspiration! Feel free to grab a featured button if you like. Thanks so much for featuring me! I appreciate you stopping by. Thanks for featuring my wristlet. Although I would love the opportunity to make you one, it's a great project to have on your sewing to do list! I have been using mine all summer. Anna's tutorial on Noodlehead is all you need! Following you now (here and on Pinterest). Three Things Thursday- Seriously Cute Stuff! NEW JoyBelle Jewelry Giveaway Winner!